This book tells the story of the Jewish community, of its individuals and its groups that contributed to the First World War from London. It will describe the experiences of some of those that served and fought; of the impact the war had on the community and its members; and explore some of the uniquely Jewish experiences and questions that the war raised e.g. how do you keep Kosher on the front line? In August 1914 Britain declared war on Germany. Immediately following the declaration an appeal went out for volunteers to join the army. Despite a huge global Empire and large Navy, Britain had a small professional army. The Jewish communities of London stepped up in response providing well over 40,000 men for the forces and thousands more for activities on the Home Front. 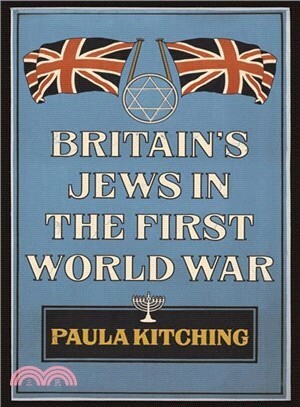 The Jewish community was a small ethnic/religious minority but one that was prepared to be counted.The stories and experiences of London’s Jewry and the First World War is the story of how a community often viewed as outsiders became very much entwined with British society and how British society and culture became very much a part of the Anglo-Jewish experience and identity. Paula Kitching is an historian and writer. She is the Project manager and historian for a project that is building a digital archive on the Jewish experience of World War I. Paula is a regular contributor to the Historian magazine of the Historical Association, and has written articles for commemorative publications for the Royal British Legion, the MOD and The London Jewish Cultural Centre. She has written education materials for the Department of Education, the Scottish Executive, the British Library, the Historical Association and others. She is an independent battlefield guide and a history tours advisor for Rayburn Tours. Paula Lectures in many aspects of cultural history in particular relating to war and genocide for adult audiences.